About a month ago I was participating at a local La Leche League meeting, going around with the other moms on our experiences with all things breastfeeding. As we were discussing different topics the conversation moved to nursing in public without a cover. I could feel the woman next to me shift. She was pregnant with her first baby and had decided she wanted to try breastfeeding. Her concerns were not whether she would use a cover or not, but whether breastfeeding would even work for her. She looked at me and said "I don't know if I'll ever get there." I responded with, "I didn't start here." I didn't start my breastfeeding journey as a lactivist. 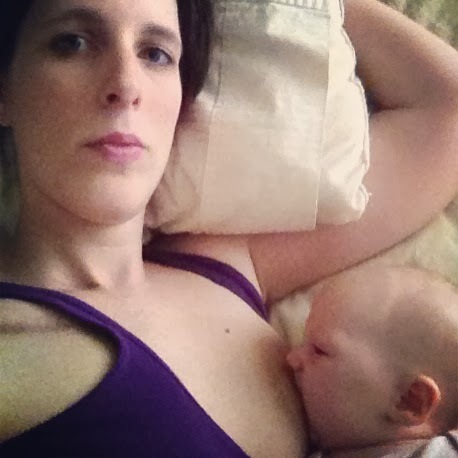 I didn't start as pro-breastfeeding. I didn't start as a supporter of no covers, toddler nursing or self weaning. Heck, I was breastfed for 2 months. I never saw my mother breastfeed, and only saw my aunts under huge blankets. In fact, before I got pregnant I had only encountered seeing breastfeeding in real life 3 times. During my pregnancy with my first when people asked if I was going to breastfeed my response was, "I'll try but we'll see. I'm not going to stress myself out." My son was placed in my arms, the nurse helped him latch and I was in love. 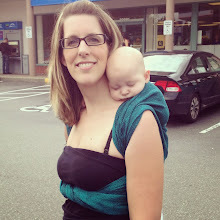 The feeling I got from not just carrying this boy for 9 months but also nourishing him beyond overwhelmed me. My breastfeeding journey was gradual. I would move to another room or use a cover in those first months. Then as the months, my confidence and the heat grew the cover went away. As we got closer to a year I realized it didn't feel right to wean. Somewhere along the way I found my voice and wasn't shy about the fact we were still nursing. We made it to 20 months of beautiful breastfeeding and my only regret is that I didn't take more pictures. Now with my daughter I only use the cover when she is feeling distracted, my phone is filled with breastfeeding pictures and I'm looking forward to getting to experience her continuing this relationship as long as she likes. I sure didn't start here, but I'm happy I got here all the same. Mom to a active preschooler who makes me laughing everyday and a ever curious baby girl who keeps me on my toes. Passionate about this thing called parenthood and so grateful for the man by my side that makes it easier. I started with a "I'm going to breastfeed for a year" attitude and that breast was best. But I'm not even sure how I got there. Maybe the online community? I was never breastfed. Didn't really see my own mother doing it because by the time she nursed her babies I was away at school. As for seeing people breastfeed? Never. But now? I love it and I would consider myself a lactivist! LOVE this! I know I didn't start here either! So love hearing your story! To date, I've seen ONE person nursing in public in my life. I wasn't breastfed; My husband wasn't breastfed; no one I knew breastfed, but I had the sheer determination to make it work and that's what's kept me going for 9 months. What a great reminder that there's still much educating to be done of our closed-minded-to-breastfeeding society!